I’ve been on the hunt for the perfect phone tripod mount for years. I always tell myself, “Self: if only I had a better smartphone mount I’d be able to make more and better photos/videos/media!” and other such nonsense. Well, I’ve got no more excuses, because I think I’ve finally found the perfect all-metal smartphone tripod mount. 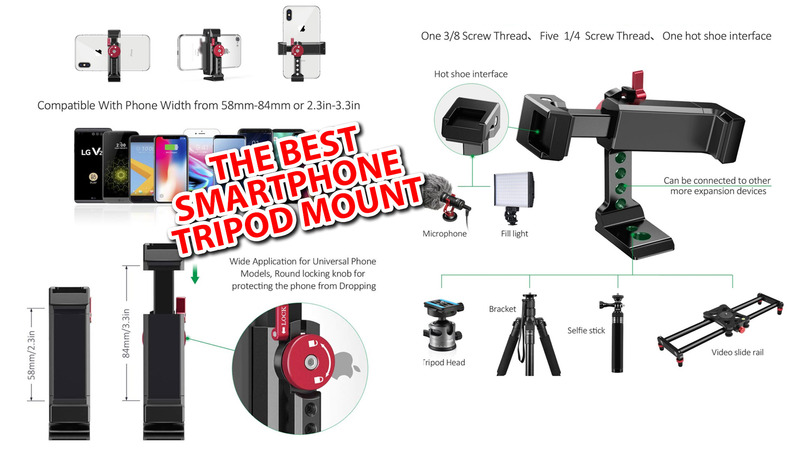 If you’re looking for the most sturdy and versatile option for mounting your phone both vertically or horizontally to your tripod, this is it. Since recording the video, I have found the same item sold under different brand names: WOOHOT in the USA and ZECTI in Canada. With the exception of the knob and lever colour scheme, they look to be identical in every way. For Canadians, be sure to use this link to purchase the right item. Compact, all-metal phone tripod mount with multiple camera accessory mounting options. There’s no shortage of phone tripod mounts on the market, but most are plastic (read: not stable), can’t quickly switch from horizontal to vertical shooting, or don’t accommodate the attachment of video accessories. 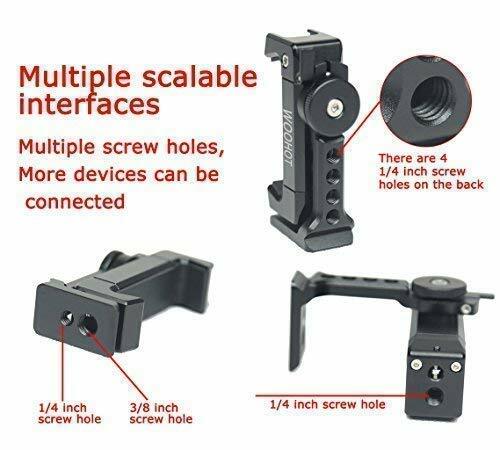 This is an all-metal smartphone tripod mount that checks all the right boxes off and will likely outlast the phones it carries. 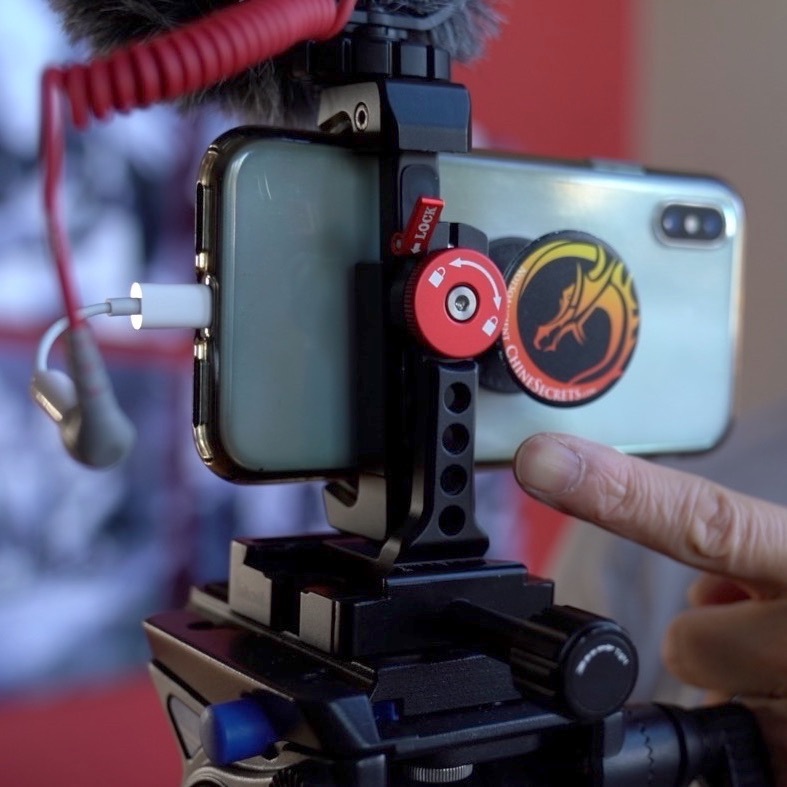 Whether you’re an aspiring YouTuber, professional photographer, filmmaker, parent, selfie-taker or pretty much anyone who wants to level up their smartphone videos, this is an item you should consider adding to your shooting kit. 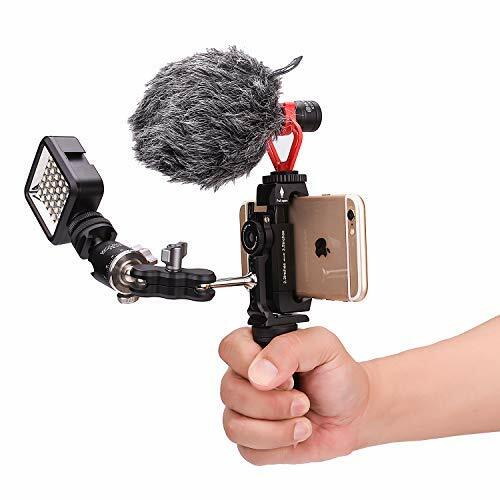 I have sadly spent far too much money on lesser phone tripod mounts and too much time hacking my own solutions with the simple goals of (a) quickly switching from vertical to horizontal shooting and (b) adding a mic to my smartphone video setup. This is the first smartphone tripod mount I’ve purchased that I haven’t felt the immediate need to hack into something better. I love the well thought out design of this phone tripod mount. It’s amazingly compact when folded up, which is great for saving space in your travel or EDC bag. 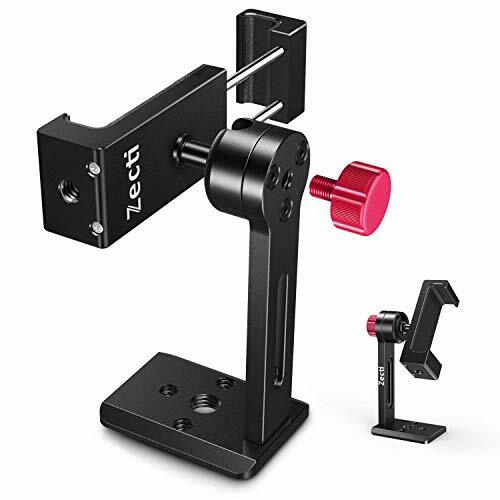 The many industry-standard 1/4-20 camera mounting points along the spine, clamp, and base, not only allow you to add multiple accessories, but has the added benefit of shaving down the weight without sacrificing stability. The all-metal mount, solid clamping force and full rubber/silicone phone protection round out this great piece of kit. this is nit-picking, but the hot shoe is a bit short by design. When you place any accessory into the hot shoe, it may seem to not be fully inserted. 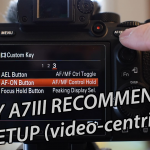 This has no practical implications unless you plan to mount something very heavy in the hot shoe like a 7” monitor. 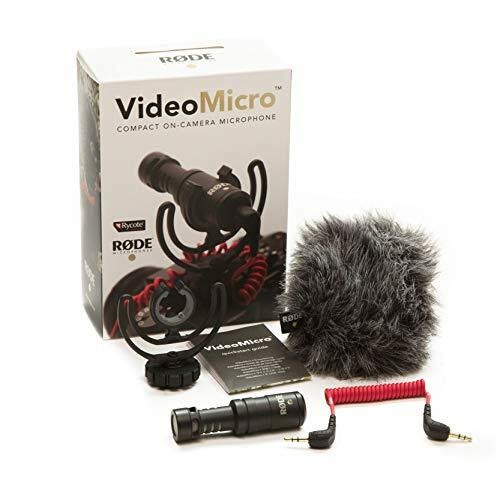 For lightweight mics like the Rode Videomicro, it has never fallen out. Just be careful to insert it fully and lock it down best you can. Plastic phone tripod mounts can’t hold a candle to this all-metal smartphone mount. And funnily enough, the closest competitor I could find is sold by the same company. It lacks a few accessory mounting options, but adds a more flexible ball head. If you’re looking for a metal smartphone tripod with a ballhead joint, this is a great option. 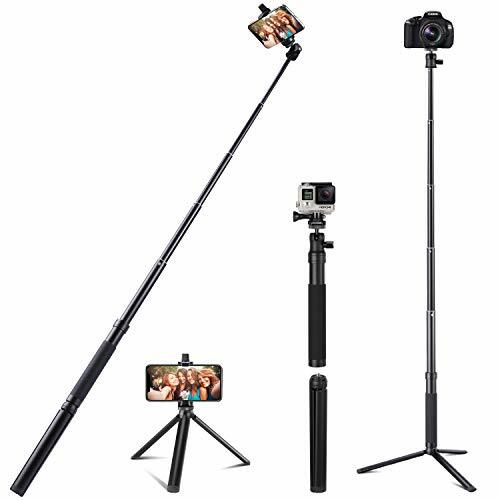 Metal Tabletop Tripod and selfie stick – this includes a metal ballhead, quick extension and foam handle. Just note this simple twist-lock extension system won’t be able ot accommodate much more weight than your kitted up smartphone video rig. My search for the best, compact, secure, versatile and travel-worthy all-metal smartphone tripod mount is over! 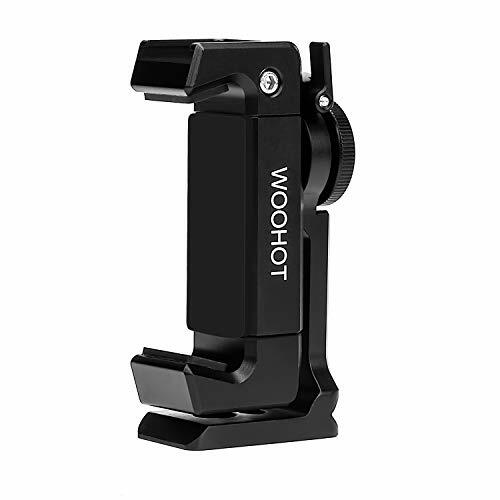 Not the cheapest option, but if you want a professional-grade smartphone tripod mount that plays nice with other camera gear, this is (hopefully) the last one you’ll have to get.